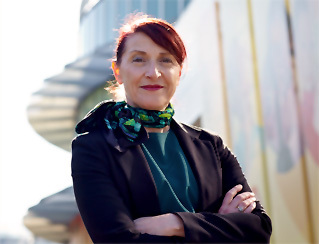 One of the world's leading curators of human biology and medicine, alumna Dr Nurin Veis (BSc(Hons) 1981, PhD 1986) has been appointed the new manager of Scienceworks. Scienceworks, a world renowned science museum in Spotswood, Melbourne, is a venue of Museum Victoria. Dr Veis has bold plans for its future. "I want people of all ages to be inspired by science - that's where my motivation comes from," Dr Veis said. "I want to be able to open people's eyes to something new, to something challenging, or to something they haven't been able to access before. "We need to create immersive, contemporary experiences that draw people to Scienceworks not simply as a science museum, but as the science cultural centre of the West." Dr Veis has a background in biochemistry, immunology and cell biology, having worked as a post-doctoral medical researcher in both Melbourne and New York. She has a keen interest in contemporary music, literature, filmmaking and story-telling. Previously with Museum Victoria, Dr Veis developed exhibitions including The Human Body and The Mind: Enter the Labyrinth, setting an international benchmark for exhibitions based on sensory and exploratory experiences. She has extensive experience in the ethical display of human remains as well as establishing guidelines for the ethical display of artworks by people who have experience of mental illness and trauma. "As a scientist, it's an honour to be able to come into this role," Dr Veis said. Over 21 years Scienceworks has seen approximately eight million visitors, held more than 80 exhibitions and shows and continues to set the benchmark with its progressive approach to science education across Australia."